Four early and crucial albums by Swedish metal greats In Flames get reissued as part of Nuclear Blast's "Reloaded" series. There's no better time than the present to see what all the fuss is about. When it comes to veteran bands whose early discographies are of the seminal variety, it's a given that even the newest, youngest fan will be familiar with much of that early work. You can't like Metallica and not know their first three albums, you can't like Slayer and not know Reign in Blood, and you can't like Iron Maiden and not know "Run to the Hills". However, when a band hangs around for a couple decades, evolves its sound greatly from album to album, and actually reaches its peak popularity late in its career, an interesting generation gap can form among the fans. Such is the case with In Flames, who over the last six or seven years has seen its fanbase worldwide, and especially in the United States, increase greatly thanks to a cunningly streamlined sound and smart marketing. With the polarizing 2002 album Reroute to Remain as the dividing point, there are two clear factions. On one side, there's the old schoolers who grew up with the band's influential early back catalog, despise today's more "commercial" sound, and resent the fact that the band continues to play much more material from the last four albums than the first four. On the other side, a considerably younger crowd that appreciates the more accessible turn of 2006's Come Clarity and last year's A Sense of Purpose. Bring up In Flames on a metal message board, and you're bound to incite a wave of tirades lambasting the band's recent output while others meekly try to defend it. If there's one way to unite both factions in a full-fledged In Flames love-in, it's to shift the focus on those key early albums, which Nuclear Blast has done. While the band's last four albums have been divisive, the same cannot be said for the classic early material -- The Jester Race (1996), Whoracle (1997), Colony (1999), and Clayman (2000) -- which have all been reissued as part of the Nuclear Blast's ongoing Reloaded series. Although the supposed "remastering" is negligible at best and the CDs come adorned with the same extras as the 2005 remasters, the new reissues, adorned in swanky "super jewel boxes" and featuring expanded artwork, are far more aesthetically pleasing than the drab, grey-bordered versions from four years ago. Older fans might groan that this is just another cash grab by a label the band is no longer signed to, but for the In Flames neophytes out there who know "Cloud Connected" and "Take This Life" more than "Artifacts of the Black Rain" and "Jotun", there's no better time than the present to see what all the fuss is about. 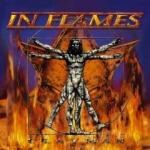 Initially formed by guitarist Jesper Strömblad as a separate project from his regular band HammerFall, In Flames hit the ground running, sounding remarkably well-developed from the very start, 1994's scattershot but very confident debut, Lunar Strain. Although that album, featuring Dark Tranquillity's Mikael Stanne on session vocals, seemed to dip its hands into everything (thrash, black metal, American death metal), at its very core was the sound that would take its name from the band's hometown of Gothenburg, Sweden. Led by the great At the Gates, Dark Tranquillity, and In Flames, and neatly bridging the gap between brutal, punishing death metal and the soaring guitar harmonies of power metal, that "Gothenburg sound" was a crucial development in the history of metal music, a style that would become hugely popular in the 1990s, and was ultimately co-opted and bastardized by countless young American bands a decade later. What the youngsters to this day can never get right, though, are those classy, refined melodies that offset the vicious, tightly played riffing. In Flames' second full-length, The Jester Race, is so well executed that it continues to make today's imitators sound even more pointless than they already do. From the start, Strömblad's band has an identity, fitting neatly between the vicious attack of At the Gates, the classy style of Edge of Sanity, and the more outwardly melodic tendencies of Finland's Sentenced. While the strength of At the Gates' landmark, Slaughter of the Soul, was its unrelenting, tightly wound riffs, The Jester Race is set apart by those melodies by Strömblad and Glenn Ljungström -- so indebted to the dual guitar styles of Thin Lizzy, Iron Maiden, and Helloween, yet audacious enough to take the sound even further than it had already gone, everything slickly produced by Fredrik Nordström, who would go on to not only collaborate with the band for years, but become one of the most famous producers in metal. The 6/8 riffing and 2/4 drumming by Björn Gellotte on "Graveland" is a compelling contrast, the open chords of the chorus foreshadowing the stylistic turn the band would take five years later, while the ornate melodies on "Lord Hypnos" are reminiscent of Dave Murray's work with Iron Maiden. The album's second half sees the band truly flexing its muscle, the mid-paced groove of "Dead Eternity" a moody, well-timed deviation from the melodic death aggression, the title track wickedly catchy, capped off by Fridén's decidedly Swedish-accented refrain, "Our bloodied trace…the yester race." The album's second instrumental "Wayfaerer" is downright shocking in its usage of positive, uplifting melodies reminiscent of Rush and even Joe Satriani (check out the two-minute mark for proof), flying directly in the face of convention, shedding a little sunlight on a genre often too preoccupied with doom and gloom. The concluding track "Dear God in Me", meanwhile, brings the album to a rousing climax, every facet of the band's sound coming into play with Strömblad unleashing movement after movement in a frenetic four minutes. The reissue's bonus tracks are of particular interest, as the 1997 Black Ash Inheritance EP neatly bridges the gap between The Jester Race and its follow-up, Whoracle. "Goliaths Disarm Their Davids" sees the band settling into its musical niche even more, those guitar hooks incessant (listening today, one can hear a lot of Arch Enemy's future sound in this track), Whoracle standout "Gyroscope" is presented in much rawer form than on the finished album, and the live performance of Lunar Strain fave "Behind Space" is positively scorching. 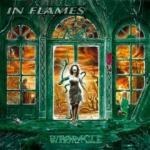 Released a year and a half after The Jester Race, Whoracle delivers some of the best songs in the In Flames discography, but when compared to its predecessor and its 1999 follow-up Colony, this third album feels a lot more cautious -- Strömblad and his bandmates stick rigidly to the template set by the previous two records. Granted, the band is still on one hell of a roll on this album, as opener "Jotun" soundly attests, one of the finest encapsulations of the Gothenburg sound ever put on record, Strömblad's mournful melodies working in direct contrast to the bracing gallop set by drummer Gelotte and bassist Johan Larsson. That said, Nordström's production on this album doesn't exactly complement the music very well at all, the thick, almost muddy mix placing strong emphasis on the rhythm section and down-tuned rhythm guitars, thereby drowning out Fridén's vocals and the band's most crucial ingredient, those terrific guitar hooks (listen to how they're buried on the otherwise strong "Food for the Gods"). While the mix doesn't hold up very well in retrospect, the actual songs certainly do. Underscored by acoustic guitar and highlighted by a continual melody that weaves around Fridén's vocals, the classy "Gyroscope" adds a more contemplative element to the band's sound, while the ballad "Jester Script Transcribed" ventures even further into more pensive territory, laden with synths yet still capable of powerful ebbs and flows from verse to chorus. "Episode 666" is contagious in a brazenly Maidenesque way, and the two instrumentals once again showcase the tandem of Strömblad and Ljungstrom, especially "Dialogue with the Stars", which has the duo adding colorful, Thin Lizzy-inspired dual harmonies throughout the track. While a few tracks play it relatively safe ("Morphing Into Primal" and "Worlds Within the Margin", specifically), the cover of Depeche Mode's 1983 single "Everything Counts" is the album's one glaring misstep, a bland, heavy interpretation of the synth-pop tune that would have been better suited as a B-side. Appended with a spirited re-recording of Lunar Strain's "Clad in Shadows", Whoracle might be a slight step back, but two years later, In Flames would hit an all-time high. After the experimentation of 2006's MorT and 2007's Odinist, the French band's seventh album finally achieves an impeccable balance between their recent compositions and the raw, icy atmosphere of their early work. 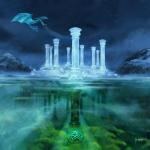 Simplified as this record may sound, the melodies guitarist Vindsval and drummer/keyboardist W.D. Feld employ are sublime, especially on lengthier tracks like "Disciple's Libration", "…the Meditant", and "Antithesis of the Flesh". 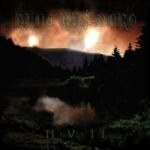 Epic, masterful, and essential black metal. Eight long years after their last album of new material, the Texas "occult metal" masters have returned with an album that reminds one and all why they're one of America's greatest black metal exports. Augmented by their usual fist-bangin' thrash riffs, their blend of the two seemingly disparate sounds as strong as ever, thanks in large part to the album's clean production, which places strong emphasis on the fleet-fingered guitar work and Proscriptor's absolutely insane drumming. Hailing from Pittsburgh, these youngsters signed to Nuclear Blast, changed their band name from Meltdown to Mantic Ritual, headed to Germany to re-record their self-released debut, and have returned with one of the more enjoyable, genuine albums to emerge from the current thrash revival. With nary a lick of modernity in the riffing, drumming, and charmingly tone-deaf vocals, these guys nail the mid-'80s aesthetic of Destruction and Exodus perfectly. There's something about a pick slide that can energize a good song, and that tried and true metal gimmick at the beginning of Colony leadoff track "Embody the Invisible" couldn't be a more fitting way to kick-start the best album of In Flames' career and one of the most ebullient, invigorating metal records of the 1990s. With an overhauled band line-up, including Gelotte moving from drums to guitar, bassist Peter Iwers replacing Larsson, and Daniel Svensson taking over behind the kit (a lineup that has remained unchanged to this day), the quintet is at its most ferocious, the 11 tracks exuding a level of energy the previous three full-lengths cannot equal. After the suffocating sound of Whoracle, Nordström's production is a massive improvement, every instrument cleanly recorded, the mix spacious enough to allow those exquisite dual guitars breathe, yet punishing enough to remind us that, despite the accessibility of each track, this is still a band rooted in death metal. Front to back, there's not a flaw to be found on this album, as the band clearly starts to get a little bolder in the studio. The strong melody that dominates "Embody the Invisible" is ebullient, synths effectively backing up the rhythm guitars and even an organ popping in for a brief solo. The piano-accentuated "Ordinary Story" sees Fridén continuing to tentatively move towards the unique clean singing style he'd adopt a few years later, "Scorn" incorporates subtle industrial sounds (as if Godflesh collided with Primal Fear), while "Insipid 2000" employs an effective vocal hook for the first time. Adorned with psychedelic, space rock-inspired synth swirls and John Lord-esque organ fills, the superb title track is propelled by a monstrous central riff, another hint at the more crunch-oriented style Strömblad would embrace on subsequent records. Meanwhile, the re-recording of Lunar Strain's "Behind Space", unnecessary as it may seem to some, benefits immensely from the greatly improved production, and the tacked-on bonus track "Man Made God" is yet another example of how good this band was when it came to instrumentals. Arriving late in the Swedish death metal heyday, Colony isn't exactly a seminal record. Though it didn't have the same immediate impact on the metal world as The Jester Race, it is the most complete realization of In Flame's own twist on that Gothenburg sound. Strömblad must have been feeling the same thing, too, as almost exactly a year later, the next album would mark the first stage in what would be a controversial re-imagining of his band's sound. Though not as severe a musical shift as Reroute to Remain would be two years later, 2000's Clayman nevertheless remains a key transition album for the band. After taking that melodic death sound as far as they could possibly go before sounding repetitive, In Flames' fifth album doesn't completely eschew the lavish guitar melodies that defined the band's sound during the 1990s, but they're certainly less prominent than on Clayman, Strömblad experimenting more with song dynamics, brooding verses building up to well-timed bridges and soaring choruses, and most crucially, focusing on stronger rhythm guitar riffs overall. Employing fewer accents and fills and utilizing more muscular sounding riffs always attracts derision among the guitar geeks in the metal crowd, the streamlining of a band's sound seen as "selling out", but if anything, the band sounds the better for it on Clayman, continuing where the last album's title track left off, Nordström's production as immaculate as ever. You can't get any better than the album's opening one-two punch, first with "Bullet Ride"'s clever nicking of a Queensryche riff before erupting into a memorable chorus, and then with the post-thrash pace of "Pinball Map", its palm-muted riffs a far cry from the dexterous fretwork of past albums. 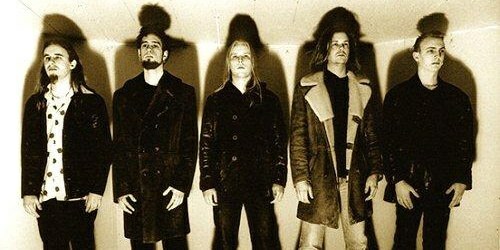 The band's growing preoccupation with Fear Factory-inspired arrangements is apparent on "Only for the Weak", but what separates the track from the work of the American industrial metal band are the fragile guitar and synth melodies that dominate the song's chorus. Vocally, Fridén is attempting similar contrasts as Strömblad is doing in the arrangements, employing spoken word, halting, almost cautious singing, and improved melodic touches in his rough vocals. Never the best singer, he nevertheless makes significant strides on tracks like "Satellites and Astronauts" and "Square Nothing". 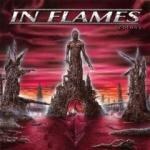 Interestingly, the bonus track "World of Promises" sees the band building a song around their strongest vocal hook to date, and while the track is a bit lightweight compared to the rest of Clayman, it serves as an apt segue into the second half of In Flames' career, which, for all its peaks (Reroute, Come Clarity) and valleys (Soundtrack to Your Escape), would prove to skeptics that there's life after melodic death metal, the sound of a band stubbornly striving to set its sights forward. They might not be willing to do much looking back, but with these fine reissues, the rest of us can, and savor it.